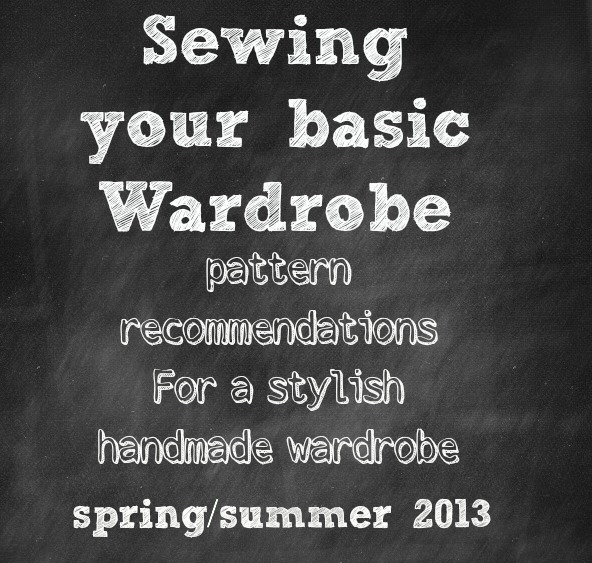 Has your sewing expertise grown to a level where you are making your own clothes and loving it? But do you find yourself impulsively buying your fabrics and patterns, creating garments, but none that really go together? This is a common problem for those of us who make our own clothes. I’m also guilty of sewing “the icing on the cake” when it comes to sewing projects. Bold patterns, colorful items that I don’t exactly know how I am going to pair together. I have made lots of flowered dresses, but only one in basic black one, which gets worn the most. I get so distracted when I shop for fabric! Create mini collection of basics that you can build on and that you can add to with pieces of colorful, fun pieces you may have already made. And bring your list of patterns you plan on making with you when you go shopping for fabric so you can focus. Below is a list of basics every woman should have in her wardrobe from the April 2013 Harper’s Bazaar issue. 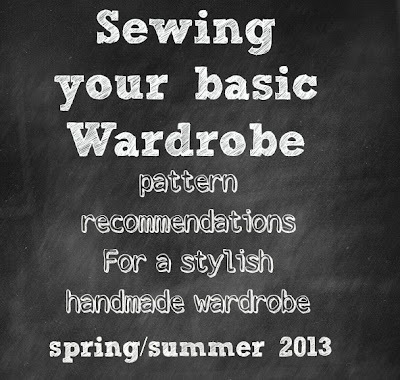 I’m substituting how to sew the basics instead of where to shop for them. You can make it in a black stretch woven, a khaki woven or even in denim, depending on your wardrobe. I would recommend sewing it in a stretch twill. It’s durable and comfortable to wear. A woven cotton pique is also a nice choice fro summer. One in classic black. I would sew these in a stretch woven twill. Stretch cotton pique would be cute for summer. 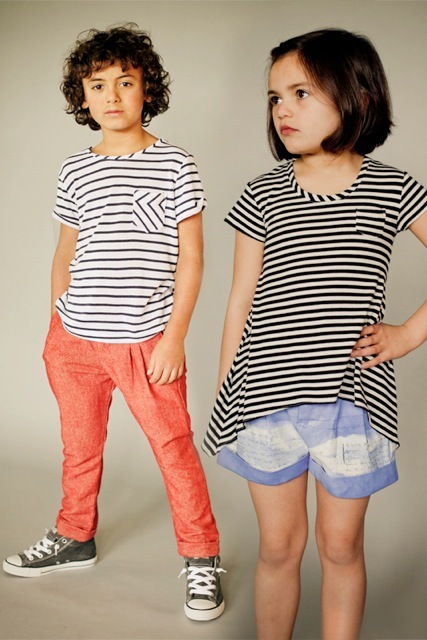 A more trendy pair, perhaps a tuxedo style pant or in a bright color. Or even try a floral print. You can sew these in a basic color or go wild with a print. Some fun options for summer might include cotton lace over a lining, a super bright color, a floral print, or something more classic like seersucker. A little black dress which will be a basic wardrobe staple you should sew in a timeless style. Another more festive style in a print. Maybe a maxi style, always nice in summertime. 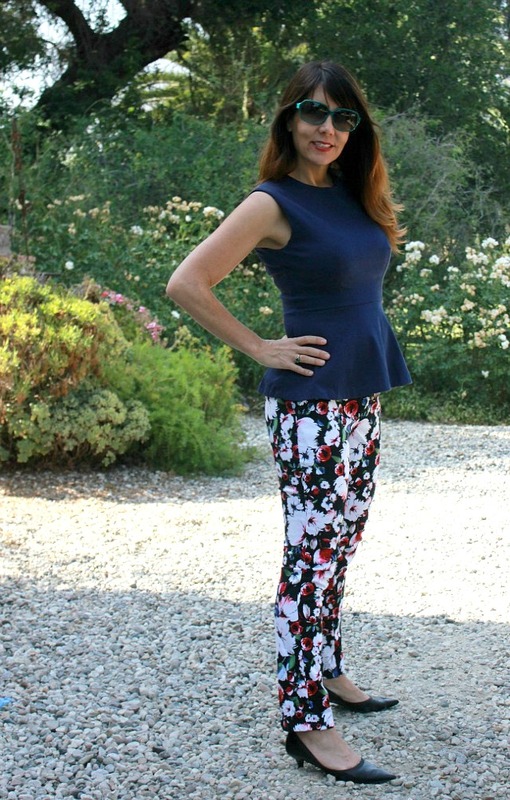 Simplicity 1696 Amazing Fit Pants. I have just finished this pattern in a stretch floral and will be blogging about it this week. I highly recommend this pattern. I like this pattern because it gives lots of info on how to fit your pants properly. The pattern is a bit more advanced with slash pockets and a center zip fly. But the instructions are very thorough. This peplum top in a solid color and sewn sleeveless is a fashionable and flattering choice for your wardrobe. I would sew it in stretch woven cotton or double knit. I will be blogging about his top later this week. I made mine in double knit with an exposed zipper. This makes a dressier top for summer and would look great with a pencil skirt or even jeans. I would sew it in a silk print and I have. To see my version click here. I like this pattern choice for a button down because it comes with cup sizes, an awesome feature! For summer, I’m planning the sleeveless version in chambray. A dolman sleeve knit top. That sleeveless top on the bottom right would look great on most people! I love tops that have a draped neckline. I love the ease of throwing a knit dress on when it’s hot out. This little knit dress would make a great LBD to wear in the summer time. To see my version of this pattern, click here. I have been loving the McCall’s patterns this season, as you can see! They just seem to very fashion forward lately. How about you? 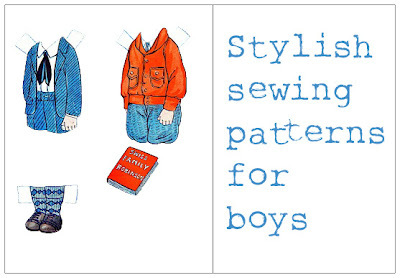 Do you find sewing basics boring and only like to make the fun stuff, too? Hear me justifying buying more patterns? I’m awful. It really is a great pattern, Amy. like a mini class in pants fitting which is a difficult thing to learn. 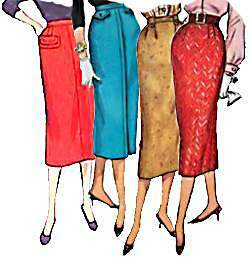 If people are interested in joining our sewing group’s Summer 2013: Pencil Skirt Challenge, here’s a link to the info ( http://vintagezest.blogspot.com/2013/05/summer-2013-sewing-challenge-pencil.html ). We’re a bunch of beginners (including Amy who commented before me) who are trying to sew more! I love the simplicity amazing fit patterns. I own two already and I think they have taught me more about sewing than any other pattern I’ve ever owned. You are SO totally right Justine. LOVE this post. So useful! Well done! Great ideas. Thank you for the tips and patterns.. I too find my self just sewing and not thinking about what I need? This is a great post. Thank you for sharing these 🙂 I love the NL top, I think I’ll be seeking that one out! This is such a useful post! Thank you for gathering up some great ideas. I have been looking for a pants pantern after a couple recent not-so-great pairs I have made; I will definitely try out that simplicity pattern. Another great pencil skirt is the one by Gertie in her book “Gertie’s New Book for Better Sewing”. Great post! I’m starting to build my wardrobe too. Your post is very inspiring, thanks Justine!